1.6.4 What happened with all that time we've saved? Imagine an academic culture where research is not steered by the publish or perish ecology (which is so glaringly 'industrial age', isn't it?) – but by the design epistemology. What sort of work would result? What ideas might emerge? From our portfolio of applications we select and show a representative sample. Our intention is not to survey or to inform, but to illustrate. While illustrating a creative frontier (or technically a paradigm) by showing a broad variety of creative acts it may foster, we also emphasize its coherence and unity. We must leave it to you, the reader, to discover that all our applications do point to a single insight – the difference we'll make by applying our creative powers in a systemic way, instead of reinventing the past. 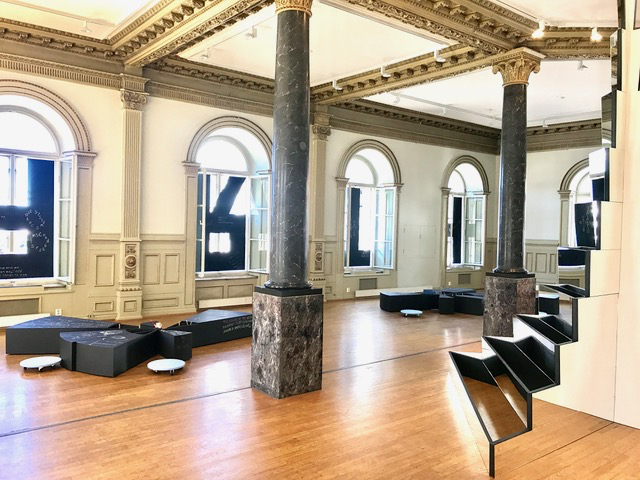 Another challenge to you is to see how our various design ideas synergize with one another and form a sketch of a harmonious whole – of an academic paradigm to begin with, and then also of a larger societal one. The last century gave us the airplane, the washing machine and the computer. We predict that the inventions that will characterize this century will be socio-technical. We will invent new ways to educate people, better ways to implement a democracy, and new approaches to ethics and religion. What will they be like? What difference will they make? These early prototypes are intended to call attention to possibilities, and pave the way to large-scale development. Think about our core challenge – to bring relevant and transformative ideas from a multiplicity of fields together, and have them bear upon institutional and other systemic solutions, in real-life practice. How can this be achieved? The prototypes are innovative systemic solutions implemented in practice, and strategically embedded in practice, aiming to change it. By putting a prototype in charge of a transdisciplinary community (which we call a transdiscipline) to create it and update it continuously, we secure that the state of the art knowledge from relevant fields has a way to impact the design of the prototype, and vice-versa – that the challenges encountered in this design have a way of becoming challenges to pertinent academic and other creative communities. In the paradigm we are presenting, the prototypes play the role of (1) models (because they embody design ideas and solutions in a way that makes them easy to adapt to other creative tasks and situations), (2) interventions (they are embedded in real-life systems and situations) and (3) experiments (because they allow us to see what works and what needs to be improved). The prototypes considered together form a single overarching prototype, of knowledge federation as an emerging academic field or praxis or transdiscipline. None of us can be as knowledgeable as all of us together! Debategraph is an online platform that enables people and communities to combine together the knowledge and ideas that are relevant to an issue. And based on them, to create guiding insights and reach conclusions. With 25000 maps covering a broad variety of topics including some of our society's most urgent and most interesting ones, and the user community that includes the CNN, the White House, the UK Prime Minister's Office, The Independent, and the Foreign Office among others, Debategraph is successfully changing the way in which core issues are debated and understood. Peter Baldwin, Debategraph's co-founder, was a cabinet minister in a couple of Australian governments, until he got so tired of seeing the issues voted on without being understood – that he retired early, bought himself a home in Australian Highlands, and learned how to program the computer... David Price, the other co-founder, has a doctorate in organizational learning and environmental policy from the University of Cambridge, and a similar passion as Baldwin for making knowledge count. Conveniently, the two men are on two opposite sides of the globe. Debategraph never sleeps! Imagine a collectively intelligent business; or even better – an entire business ecosystem, where the employees and clients and suppliers are linked together, and can freely co-create improvements and solutions. Henry Chesbrough of UC Berkeley observed that innovation can be made incomparably more effective and efficient if it can be shared or "opened". Norwegian entrepreneur Alf Martin Johansen heard his talk while visiting Berkeley, and another talk about Web 2.0, and saw that the two ideas can be naturally combined. Induct Software, the global business venture he created, has Chesbrough as the head of its advisory board – and the ambition "to interconnect the global innovation ecosystem". This Youtube video where Chesbrough tells the story of Induct's beginning. 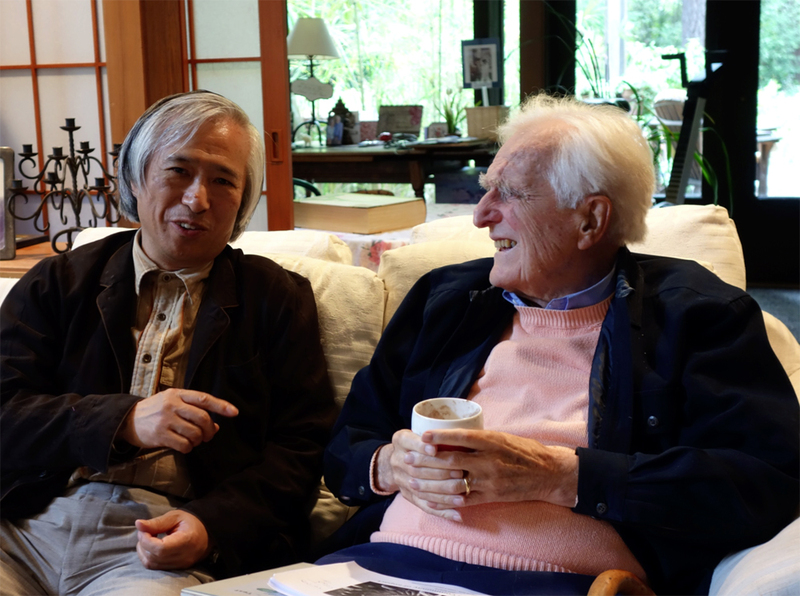 Professor Yuzuru Tanaka – a leader of knowledge media research in Japan, the founder of Knowledge Media Lab at the University of Hokkaido, and the author of Meme Media – visited Douglas Engelbart in his home in California in 2012. Decades earlier when it began, this friendship helped Engelbart heal his WW2 misgivings toward the Japanese. Imagine if knowledge were not locked up in traditional documents – but made available in reconfigurable hypermedia, which one could cut and paste at will and produce new hypermedia and new knowledge. Engelbart called the enabling technology "open hyperdocument system", and demoed a version of it in 1968. Meme Media and Webbles in effect turn the Web into an open hyperdocument system. Both hypermedia content and web services can be combined together – which opens a realm of opportunities for creating smart documents. A mission of meme media is to enhance the evolution of knowledge by allowing "cultural genes" or "memes" to cross-fertilize. M. Kuwahara and Y. Tanaka: Webbles: Programmable and Customizable Meme Media Objects in a Knowledge Federation Framework Environment on the Web Proceedings of the Second International Workshop on Knowledge Federation, CEUR-WS, Vol. 822, Dubrovnik, 2010. Imagine if instead of each of us working on our own project and article, we would be freely exchanging both questions and solution ideas continuously, as they emerge! Imagine if we could in effect think and create together, on a global scale, as if we were sitting in the same room. Or as if we were cells in a single creative mind! Knowledge Gardening, developed by Jack Park and his team, builds on Engelbart's core notion of Dynamic Knowledge Repository. Park was an SRI researcher and system developer in artificial intelligence, until he met Engelbart, who promptly convinced him that the collective intelligence was our most urgent need. Jack Park: Knowledge Gardening as Knowledge Federation. Proceedings of the Second International Workshop on Knowledge Federation, CEUR-WS, Vol. 552, Dubrovnik, 2008. Choose an achievement or contribution! This image was shared as part of the announcement of our presentation of The Game-Changing Game at the Bay Area Future Salon in Palo Alto, in 2011. Imagine you met a fairy... 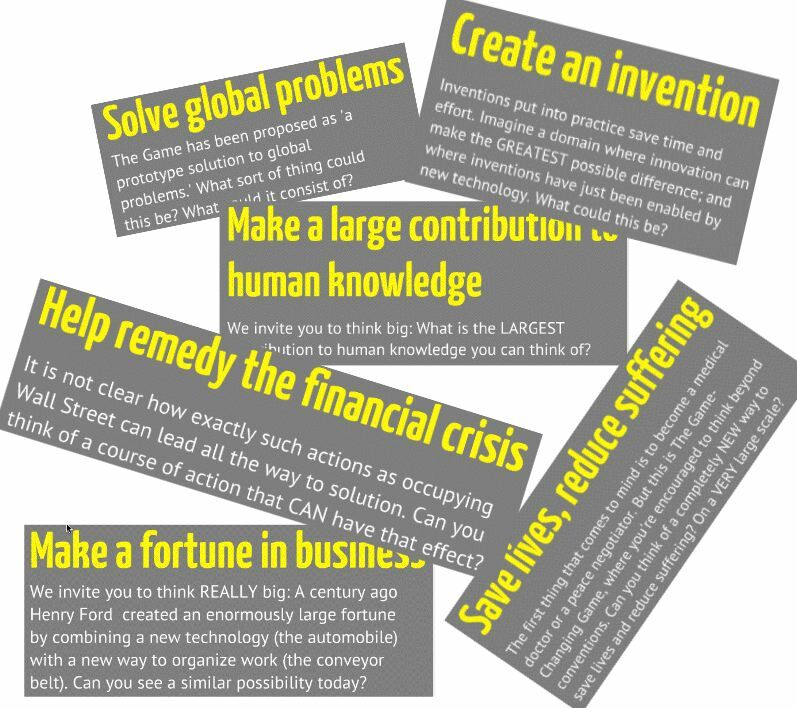 In our presentation at the San Francisco Bay Area Future Salon, we introduced The Game-Changing Game by asking the audience to make an as audacious wish for contribution or achievement as they were able to conceive of. 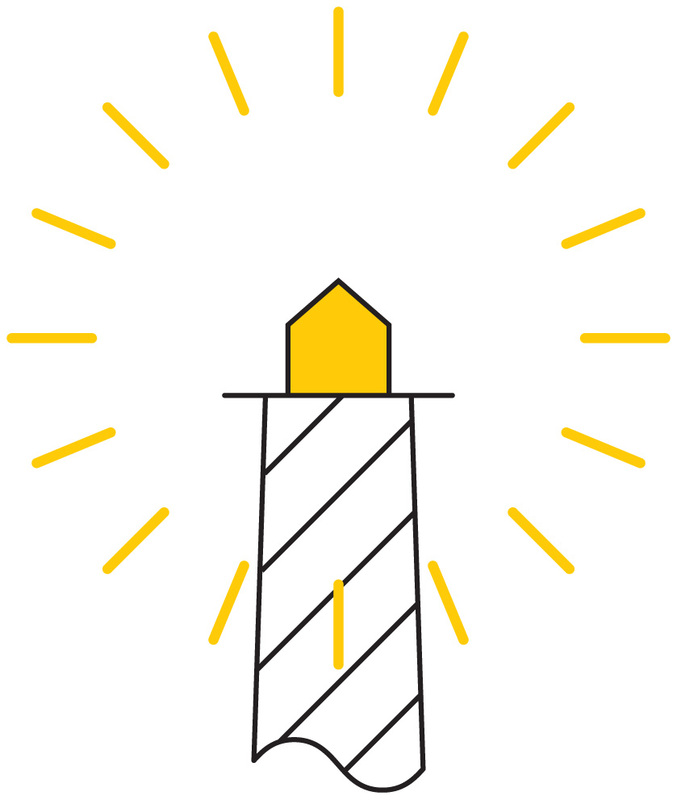 After everyone shared their wishes we showed how such wishes may be made true through systemic innovation. The Game-Changing Game is a generic method for recreating and changing real-life socio-technical systems. There are two categories of 'players'. The Z-players are self-selected from among the people in power positions (professors, investors...); they 'play' by empowering the A-players (students, entrepreneurs...) to 'play' their life and career 'games' in a game-changing way – by changing rather than only learning and adopting their professions. Blog post The Game-Changing Game – A Practical Way to Craft the Future with the link to the article with the same title. The blog post Information Age Coming of Age is the history of the creation and presentation (at the Bay Area Future Salon) of The Game-Changing Game, which features Doug Engelbart and some of his closest friends and collaborators such as Bill and Roberta English and Mei Lin Fung. The Club of Zagreb is a re-design of The Club of Rome based on The Game-Changing Game. This is essentially a club of Z-players – who decided to make a difference by empowering the A-players, the young ones, to "play their life and career games in a game-changing way". This prototype is a result of Knowledge Federation's collaboration with two student excellence networks in Croatia: the eSTUDENT and the Creativity Centerexcellence network; And with The European Movement Croatia and the Zagreb business incubation hub. The invitation letter to the opening of The Club of Zagreb. While there are a number of ways to see and admire the spectacular benefits that can be reached through systemic innovation, the Doug Engelbart history might be our best window into this realm of opportunities, because the story is so extreme; and because all the familiar innovation icons are represented – the Silicon Valley, the new media technology... and in a beautifully paradoxical way. The story has been told in Federation through Stories. Make sure not to miss the main point: When we use the new media technology to merely broadcast information (or in other words to make the old systems and ways of working with knowledge more efficient – those that have evolved based on the printing press as technology) – then the natural result is information glut, or 'collective insanity'. Systemic innovation is what's needed to make a difference. Imagine your cells using your nervous system to only broadcast, and all will be clear. Recording of an explanation of Engelbart's vision shared in the same situation subsequently. In the 1960s Buckminster Fuller predicted that by the end of the century the science and technology would have advanced so much that we would be able to put an end to "the age of scarcity" and all the competition it entails. Did history prove him wrong? We show why Fuller may have been right – and that our key issue is that our systems waste resources – by composing a thread of three vignettes, of which the one just mentioned is the last. The thread begins with a vignette about Charles Ferguson, mathematician - turned political scientist - turned IT entrepreneur – turned Academy Award-winning documentary filmmaker. Ferguson chose to point out (by creating two documentary films) that two recent events – the war in Iraq and the 2008 financial crisis – were caused by internal or systemic defects. 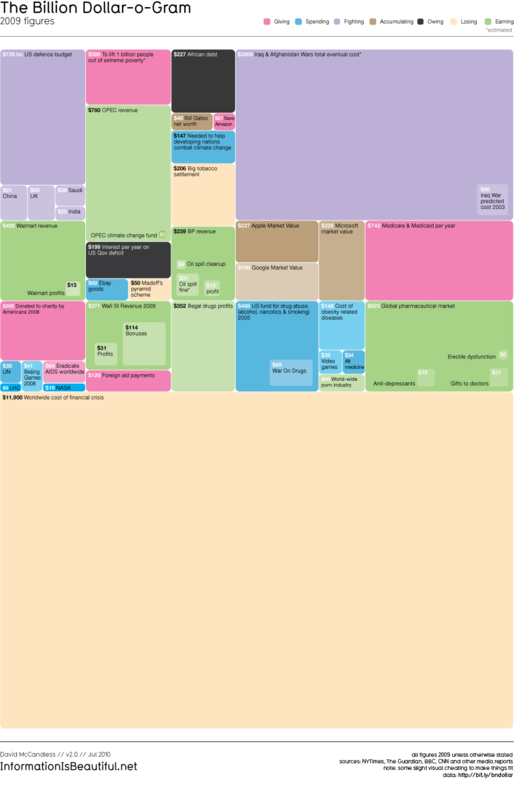 By connecting his insight with David McCandles' Billion-Dollar-o-Gram (which visually displays the costs of global issues), it is shown that cost of the two issues Ferguson pointed to was so high, that "saving the Amazon" and "Lifting one billion people out of extreme poverty" would cost practically nothing in comparison. Lecture recording Systemic Innovation Positively, where this thread begins at minute 9. If you wake up with red spots all over our skin, you will not attempt to rub them off or paint them over. Scientific medicine relies on an understanding of anatomy and physiology to treat the underlying (i.e. systemic) causes. Why not treat our societal ills similarly? Toward a Scientific Understanding and Treatment of Problems report of a workshop talk where an analogy between scientific medicine and contemporary issues is developed. What happened with all that time we've saved? This blog post, which is a fictional story about how we got sustainable by discovering the systemic understanding and handling of our realities. This story was written just before Knowledge Federation would begin to self-organize as a transdiscipline. What is the largest contribution to human knowledge you can imagine? We asked this question in an evangelizing talk that was given in several occasions at the point where knowledge federation was just beginning to take shape. Our point was to show that the contributions to knowledge that are changes of 'the algorithm' or 'the mechanism' i.e. the changes of the social organization of knowledge work can be incomparably larger than the contributions of knowledge itself. The vignette that brings this opportunity down to earth is about the evolution of post-war sociology, during which this field grew about five times in the number of researchers and publications. In the course of which the sociology divided itself into a number of factions that were losing contact with each other – and with the society whose malfunctions sociology is expected to reveal. The "largest contribution" observation is just a generalization of the claim made by Pierre Bourdieu about sociology – at the point where he and his overseas colleague James Coleman were attempting reorganization. "Knowledge Federation as a Principle of Knowledge Organization and Sharing" article in the proceedings of the first Knowledge Federation workshop, where the case for knowledge federation is made by first telling about the post-war evolution of sociology as a springboard story. By describing a concrete instance (Norbert Wiener, in his seminal 1948 book Cybernetics, pointing out that our society's communication is dysfunctional), we point to a general issue – that the core issue Wiener was pointing to is not a problem (to be solved within the existing order of things) but a paradox (which requires "new thinking" and a new order of things). Wiener wrote this book at the point of inception of a new academic field (cybernetics, or the systems sciences), to explain why this field was needed (to enable us to bring disciplinary results together; to transcend disciplinary boundaries; to inform our society how to understand and handle its systems, notably the ones that provide for communication and control). But alas – cybernetics organized itself as a traditional discipline; and Wiener committed his own insight to a traditional book. In effect, Wiener's key insight was committed to that same system that Wiener diagnosed as dysfunctional! We offer the Wiener's paradox as a generic name or pattern – pointing to all instances where a discipline has failed to communicate to the public the core insights of its founding father; where this insight is needed to make the public aware of the fields's purpose and relevance; and where massive publishing may have no better effect than to further obscure the field's core gift to humanity. Academic and media publishing is like trying to speed ahead by pressing the gas pedal, in a car that has a flat tire. Our knowledge work has a structural or systemic defect, which must be attended to first. The concrete story, which demonstrates this issue, is about two high-profile scientists bringing contradicting views about the climate change to academic audiences and the media. Consider this story as a metaphor: First Lord Robert May of Oxford comes to us, with all imaginable academic credentials and accompanied by our Minister of Science and Education, to tell us that the academic consensus on the climate change has been reached; and that the question is no longer whether it's human-caused and what needs to be done, but whether we'll be able to mobilize the public, and the political leadership, to do what is obviously and urgently necessary. Then just a couple of months later we are visited by our Nobel Laureate physicist Ivan Gjaever, who tells us – and the media – that the whole climate change story is just nonsense; that the climate has never been more stable. The point is – isn't it – the only way the media can deal with the complex world is to give a voice to everyone, and let the public decide who's right; and that the public can't decide who's right, and that our knowledge work needs to be differently organized – if we are to be collectively able to see the road ahead and follow it. We told this vignette as a springboard story at our workshop at Stanford University in 2011, to point to knowledge federation and systemic innovation as a necessary and emerging trend. What will education need to be like to support us in the transition to the next paradigm? Education, even when it does not intend that, recreates the world with every new generation. But our present education is conceived to recreate the same world. Not only because of the age-old disciplinary content it delivers, but also by its traditional delivery where education that is received at a young age is expected to last a lifetime. Naturally the people will resist change – unless they too are empowered to change, by re-educating themselves. Unlike the MOOCs, where information is broadcasted, in Collaborology a range of knowledge resources are co-created or federated through collaboration of leading international experts and students. In the knowledge-work ecosystem that results, the students play the role of bacteria in the most positive sense of this word – by composting the dead bodies of knowledge and extracting vital nutrients to be reused for a new purpose. Collaborology then also provides a practical way in which any new body of knowledge (media-enabled collaboration) can be created and disseminated (or in a word federated). The economies of scale (where a single expert creates only a single module or lecture for global use) enable the use of immersive and other new technologies in education. These economies of scale also enable everyone to contribute to higher organization and quality of knowledge and knowledge work – instead of merely augmenting speed and quantity. Audio recording and slides of a one-hour introduction to the Collective Mind paradigm – where the first half-hour is "Eight vignettes to evangelize a paradigm", and the second half explains the Collaborology prototype in terms of its design patterns (ways to remedy the anomalies pointed to in the first half, explained by using education as example application). If we should empower our students to choose what they want to learn freely, in accordance with their background and future plans – in what way shall we provide them guidance? In what way will the curriculum, and the exam, be organized? The new knowledge federation domain map is under development. It will help us walk our talk by organizing this presentation of knowledge federation – which is, as you may have noticed, just a long, linear sequence of things, a stark violation of our principles. Course flyer for the transdisciplinary University of Oslo course called Information Design, precursor to Collaborology, where this methodology was developed and applied and tested in actual practice. Article Flexible and Exploratory Learning by PolyscopicTopic Maps describes both the course model and the enabling technology. "Many regions and economies have attempted, largely unsuccessfully, to transplant Silicon Valley's entrepreneurial culture. The anecdote we are about to share will show that something much larger may actually be possible and even easy – something the Silicon Valley was unable to achieve, owing to the idiosyncrasies of its culture." With these words we began our inauguration keynote – which (as you might have guessed) built upon the Incredible History of Doug vignette told in Federation through Stories. This PhD program has been initiated and developed at the Buenos Aires Institute of Technology by Alexander Laszlo, to educate the leaders capable of bringing systemic innovation into actual practice. Recording of a brief lecture that continues the above one by explaining the essence of Engelbart's vision and contributions. "Can information technology help us solve global and other challenges by making human systems ‘collectively intelligent’?" Te stated objective of this PhD seminar was to point to an emerging frontier in computer science and IT innovation, by elaborating on Douglas Engelbart's vision and ideas. The development of this seminar helped us thoroughly research and make acccessible Doug Engelbart´s core ideas. The recording of the final lecture of this seminar, where it is explained how snuggly Engelbart's vision and the emerging creative frontier fit in as the next step in the development of computer science and engineering. If you'll now recall Aurelio Peccei's prognosis – that our future will have to be a "an inspired product" of a cultural revival – then the challenge is open for making education more than just the mental know-how. In what way can we incorporate the work with the students' minds and bodies into the academic scheme of things? Polyscopy comes to our rescue. The designed concept "movement" includes anything that is done with the body such as meditation and yoga. The designed concept "qi" – while resembling the corresponding oriental one – is really just a way to model and communicate the reported effects that the movement may have. Included in this prototype is a marketing strategy – an experiment in making this type of work accessible and attractive to students and academic workers. Movement and Qi posters were used in this strategy by combining them randomly and exposing them pairwise on strategic spots around the campus. Journalism, or public informing, constitutes the very headlights which today illuminate the world for the majority of people. What should journalism be like to show the people the real or systemic causes to their problems? And to empower them to direct their action accordingly? It is clear that the journalists alone cannot produce the needed information, and that the academic domain experts, and also the citizens, need to be part of the news production. In what way will all those groups collaborate? What technologies might enable such collaboration? A related challenge was the question who might be capable of producing a model of such journalism – and in what way? Our 2011 workshop in Barcelona, where this prototype was created, was an opportunity to showcase and put to test the basic knowledge federation approach, where a transdisciplinary community is formed to create and update a prototype. We asked Paddy Coulter – who embodies good journalism – to be the director of the project. David Price of Debategraph and Global Sensemaking was the leader of the "techies" team. Mei Lin Fung (who in 2008 initiated The Program for the Future to complete Engelbart's work) represented the Engelbartian point of view. A team of local journalist and journalism inovators, who were the creators of the Wikidiario citizenship journalism project, and Ramon Sangüesa, an academic collective intelligence expert, were our local hosts. Presentation "Recreating Journalism – an Instance of a Paradigm" at the workshop New Media and EU (delivered online) – hear the recording while viewing the Prezi. The Paradigm Strategy poster is a prototype roadmap to the emerging paradigm. As a methodological prototype, the Paradigm Strategy poster shows how core insights of giants from a variety of fields can be combined together to illuminate a core issue in a widely accessible way – and to engage the public to evolve this vision further, and bring it to fruition. A collection of techniques are applied including vignettes, threads, patterns, gestalt and ideograms. The motivation is to allow for the kind of difference that is suggested by the comparison of people carrying buckets of water from their own flooded basements, with everyone teaming up and building a dam to regulate the flow of the river that is causing the flooding. How to lift a key academic insight out of a technical jargon of a discipline? Imagine that a scientist developed a result of very high general interest, and of high potential impact on several fields of science – and wrote an incomprehensible article about it, in the technical jargon of quantum physics. This situation presented itself in reality, and we took advantage of it to develop a complete federation prototype for this type of applications. The prototype has three natural phases: (1) through collaboration with our communication design team, the article is turned into a multimedia object where the high-level module presents the result in an accessible language of metaphorical diagrams, equipped with recorded interviews with the author to explain the details, and links into the article and the technical details; (2) the second phase placed this result into public awareness, through a high-profile public event and the use of an orchestra of new media; (3) the main ideas are placed online into a Debategraph map, linked with other related ideas, and made available for further elaboration. In addition to being a prototype in academic communication, this is also a prototype for scientific – and social – creation of truth and meaning. There are two natural ways to broaden the "narrow frame of concepts" that Heisenberg warned us about six decades ago (see Federation through Stories). One of them is what's been pursued here – to create a methodology and social processes etc. The other one is to include the findings of quantum physics into the modeling repertoire of conventional science. This project combines both of them – and in an academically interesting way (...). No less important is, of course, the title theme of this project – creativity! Imagine if – because of the mentioned "narrow foundation", we completely misunderstood the nature of creativity. And if we created a research culture, and education, accordingly (...). Scientific article transformed into a multimedia object – you'll need to download this PDF file, because the audio recordings cannot be heard in the browser. Video excerpt from an online talk, where this prototype was introduced to the Metaversity educational project in Moscow and St Petersburg. Imagine that an entire discipline, or academic community, has a message to the world, which just hasn't been grasped yet. Imagine that this message is essential for understanding and applying in practice all other knowledge produced by the community. And most importantly that this message is exactly what we the people need to hear and digest to embark on the new evolutionary path (replace the reliance on "the invisible hand" by informed or guided evolution of society). This prototype has been developed for and with the International Society for the Systems Sciences. The systems scientists constituted the first of its three modules. The second module was our communication design team – whose task was to transform the insights of the scientists into messages communicable to general public. The third module in the initial prototype, whose role was to place the created material into actual politics and policy, was played by the Green Party of Norway. Abstract of The Lighthouse – Innovating the Systems Sciences System abstract presented at ISSS60 at the Univ. of Colorado at Boulder. Hermes prototype, the predecessor of The Lighthouse, proposed at European Meetings on Cybernetics and Systems Research in 2014 in Vienna. How can we empower the academic knowledge workers to step beyond he conventional peer-review scheme of things – and contribute in a variety of ways? In what way can we keep record of and honor such contributions? How can we create an academic ecology that is conducive to the emerging paradigm? Our prototype answer is the value matrix object – a piece of technology associated with each knowledge resource (this includes both documents and people), whose task is to accumulate all information that may be of use for evaluating the value of the resource. This technology is a "matrix" because it stores value information with respect to a multiplicity of criteria, and multiple ways of assessing value. We've explained in Federation through Images why having a correct gestalt (an interpretation of a situation or phenomenon that points to right action) is considered (in polyscopy) as tantamount to "being informed". It follows that gestalt creation is really the core function of a collective mind. Over the years we have developed a series of prototypes to elaborate suitable technical ideas and practical skills and insights. Here are some examples. The Holoscope is a platform and public dialog in development, whose goal is to help a community acquire the insight with which we started this presentation of our initiative – that we already own the knowledge needed to ignite a new Enlightenment-like change. When we learn to use the new media technology as it's meant to be used, i.e. when the collective mind paradigm becomes common – will the book as medium fall out of use? We believe that the books are here to stay. But that they'll become part of a dialogical communication system involving multiple media. The books and the environments where they are created will become interactive and "fluid". The website of The Future of Text The Future of Text symposium; the symposium is organized yearly by Frode Hegland, the designer of Liquid and Author. Conceived to announce and explain knowledge federation to the general public, the Knowledge Federation trilogy is a sequence of three books with accompanying dialogs. The tentative titles are "Liberation" (with subtitle "Religion for the Third Millennium"), "Systemic Innovation" ("Democracy for the Third Millennium") and "Knowledge Federation" ("Science for the Third Millennium"). The books are designed to be highly thought-provoking or "controversial" in the conventional scheme of things – and unequivocal in the emerging one. Our treatment of religion, detailed below, is an illustration. The Introduction to book titled Liberation and subtitled "Religion for the Third Millennium", which is intended to be the first book of Knowledge Federation Trilogy. This book manuscript introduces polyscopy – and then uses it to justify or 'prove' the claim made in its title, that the approach to knowledge represented in the book is necessary for both fundamental and pragmatic reasons. The unfinished manuscript titled "What's Going On?" and subtitled "A Cultural Revival" answers the most common question (posed in the title) in an uncommon way (framed in the subtitle). Instead of talking about a myriad specific events, the book describes a large over-all 'mountain event' that can give us meaning and direct our action; and in which the specific events acquire relevance and meaning. In "a cultural revival" the very foundations of culture undergo change. "Science", "art" and "tradition" are defined as three ways to create such foundations. A snapshot of the Earth Lab Bergen installation, which was a designed space and situation for our first dialog. The objects represent knowledge federation and polyscopy, and invite the corresponding interaction. Renaissance gave us Botticelli's iconic works and Michelangelo's David. What art might characterize the emerging paradigm, and call it into existence? Can art again play a transformative role in the contemporary cultural revival? Can it give expression to new ways of being, to vital new ideas? Can the artist be the human laboratory in which the new zeitgeist is conceived? Can art federate knowledge? Can it mobilize us in re-evolutionary change? And if it can – what will this art be like? We are developing prototype answers in collaboration with Norwegian artist Vibeke Jentsen (based in Berlin and New York). Earth Lab, Bergen report on Vibeke's website. The goal of this project, which was sponsored by the Art Council of Norway, was to "express the eternal message of the classical Persian mystical poet Mevlana Jalaludin Rumi in the language of modern arts". Its purpose was "cultural cross-fertilization: between modern arts and oriental spirituality; between modern culture and love-inspired poetry". The invitation flyer for one of the events. Maintenance is so much more effective and so less costly than repair; why isn't our healthcare informed by this simple insight? A related issue is that we've abandoned the creation of our lifestyle, and of basic culture, to commercial forces. 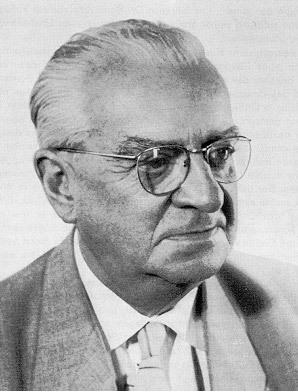 Already in 1958 Werner Kollath observed that the diseases that were becoming dominant were lifestyle-induced; and that to respond to these new challenges our very approach to healthcare will need to be different. 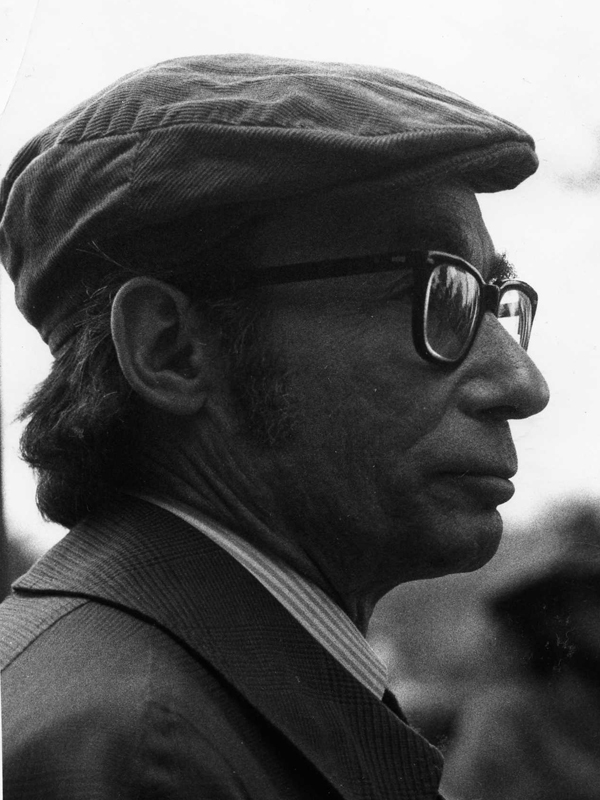 The term he coined and championed – "political hygiene" – is roughly synonymous to knowledge federation. This prototype and the smaller prototypes that belong to it, all described in the documents linked below, are results of our collaboration with University of Oslo Medical School Professor Gunnar Tellnes, the organization he initiated called Nature Culture Health, and the European Public Health Association of which he was the president. The vision of Nature Culture Health is to work with public health by taking advantage of the toolkit that the nature and the culture can provide. The goal of our collaboration was to develop suitable communication design – notably physical and online dialogs that support value and lifestyle change in a community. This brief opening speech at the Sigdal Municipality dialog in April 2008 will tell the whole story in a nutshell. Since the beginning of time people traveled to become acquainted with other cultures, and on a deeper level with themselves. And on the supply side, tourism presents a way for world's endangered cultural species to stay alive. But mass tourism's superior economies of scale threaten to reverse that. Can systemic innovation intervene in this domain and make a difference? In the award-winning documentary and book The Corporation: The Pathological Pursuit of Profit and Power, Joel Bakan described how the corporation, as the most powerful institution on our planet, first acquired the legal rights of a person, and then developed the behavior of a psychopath. This may be legal – but is it legitimate? (Bakan, a law professor, was in this notable way federating a key insight from his profession). Could there be a way to do a kind of a Judo trick on the power of corporations – and apply it toward sustaining those who are both culturally and economically endangered? This line of our work was developed in collaboration with Karina Fürst and her company Authenticore, which developed a successful practice of authentic travel. This prototype was designed to show how business interests, cultural interests and new technology may be combined in a synergistic relationshipo. The recent war in Bosnia-Hercegovina may be seen as an attempt at cultural genocide. The architectural heritage has largely been rebuilt – but can we rebuild the culture? The Authentic Hercegovina project was developed in collaboration with Professor Pasic Amir and his international team of architectural revitalization experts. Article describing the project and the methodology. "Our theme is the science behind democracy. We might also call it the science of sustainability. There are some facts, some proper academic results, which tend to be ignored even today, even though some of them are already fifty years old." This is how we began a brief talk that introduced this theme at the Leadership and Systemic Innovation doctoral program in Buenos Aires (the link is shared below). The point made was what we've been talking about all along – our ability to choose our future crucially depends on our ability to see and evolve our systems or institutions. Already in the 1960s the political scientists knew that the conventional democratic mechanisms such as the elections had little or no impact on policy. Murray Edelman took this insight a step forward – by showing that those mechanisms do have a role – but that this role is symbolic (to legitimize the existing order and policies, and make the people feel that they were asked...). We use the keyword symbolic action as roughly an antonym to systemic action or systemic innovation (which is, once again, what is needed to give ideas, and people, real power and impact). While the Knowledge Federation has not yet made prototypes that explicitly handle governance and democracy, we submit knowledge federation and systemic innovation as corresponding respectively to what the cyberneticians called "feedback" and "control" – two capabilities that an enlightened or informed or real democracy will obviously need to possess. Recording of Democracy 2.0/, the mentioned 15-minute lecture given in Argentina, which points to the vital link between democracy and systemic innovation. It may be worth mentioning that the entire argument is not based on the headlights of the metaphorical bus, but on its brakes. The story told is part of the second book in the Knowledge Federation Trilogy, titled "Systemic Innovation" and subtitled "Democracy for the Third Millennium". Our videotaped greeting Democracy for the 21st Century to Community Boost_r Camp, Sarajevo 2013. It would be difficult to imagine a better theme than religion, for illustrating the advantages of the knowledge work paradigm we are proposing. In most people's minds "religion" means believing in something – such as that God exists. Modernity replaced the beliefs of traditional religions by another set of beliefs – in a purposeless clock-like universe, governed by natural laws. Can you imagine the next dramatic turn? What might "religion for the third millennium" be like? Our treatment of religion is entirely independent of beliefs of any kind. A core theme is, indeed, the liberation from beliefs! 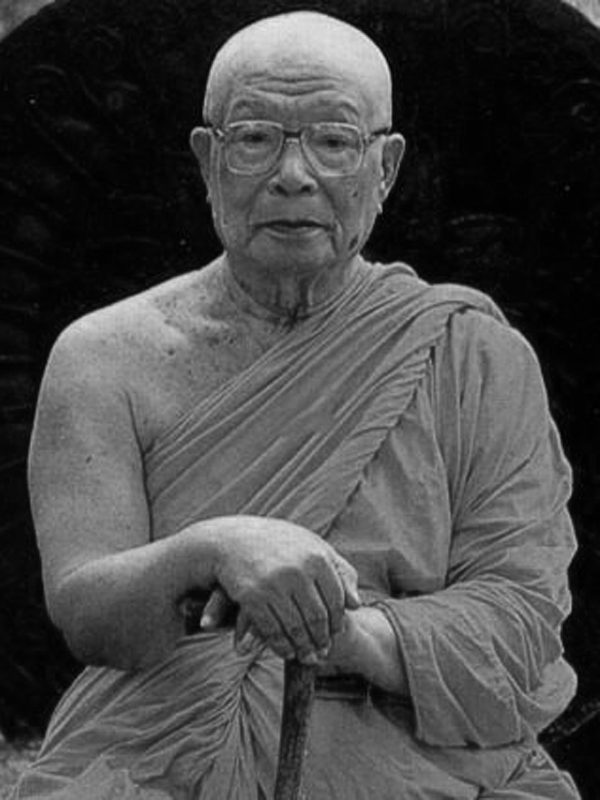 We federate the message of Thailand's enlightened monk Buddhadasa – that the point of inception of world's great religions was a rediscovery of a simple law of nature, an invaluable insight about ourselves. This insight points to a possibility to have a radically better life, and society. We show how the power structure invariably turned this insight, and the institution that was created to disseminate it, into something quite different from what was intended. The Garden of Liberation blog post tells the story behind The Garden of Liberation prototype whose purpose is to federate the mentioned meme, by focusing on an instance where it was recently rediscovered, in the context of Buddhism. Science and Religion blog post outlines some of the the scientific and phenomenological background for this project. The Introduction to book titled Liberation and subtitled "Religion for the Third Millennium". In the traditional order of things, institutions and specifically research fields are what the people in them are doing. The way of defining concepts by design that is, by making conventions, allows us to define institutions by pointing to a role or roles they might have in a world where purpose, rather than habit, is the guiding principle; and where systemic re-organization to adjust to a purpose is how institutions evolve. The following examples will illustrate this difference. The definition of culture is a canonical instance of a design epistemology-based definition. What we are about to report might seem like a small and irrelevant detail, but indeed it's not, because because the big-picture story is reflected in a detail, in a fractal-like manner. A suitable motivation for this definition is provided by combining the vignette introducing Aurelio Peccei and his insights that was given in Federation through Stories; and the basic insight shared in Zygmunt Bauman's book "Culture as Praxis". In the book Bauman surveys a large number of historical definitions of "culture", and concludes that they are so diverse that we cannot reconcile them and tell what "culture" really is. A shaky foundation to build on if we should not only develop culture as praxis (as Bauman hinted in his title), but even revive it and make a breakthrough in its evolution (which, Peccei claimed, is what we must do). Polyscopy defines culture as "cultivation of wellbeing", where the keyword cultivation is defined by analogy with cultivation of land – concretely with planting and watering a seed. Even when a seed is dissected and its anatomy studied, nothing in it will suggest that if planted into soil and watered, it will grow into a whole large tree. To have this culturally central insight, we depend entirely on the reported experience of others. And yet it was the cultivation of land that led our distant ancestors to the first revolutionary change in the development of culture, and even to the culture itself (the very word "culture" etymologically stems from the cultivation of land). The definition of culture creates a way of looking that brings back to life exactly those key aspects of culture that were all but destroyed owing to what Heisenberg called "the rigid and narrow frame of concepts" with which 19th century science branded modernity. And which were anyhow struggling to be seen and recognized throughout history, owing to the dynamics we'll point to in Federation through Conversations (The Paradigm Strategy prototype). The key insight here is that the memes that are most relevant to this theme and truly transformative all represent the basic pattern associated with planting and watering the seed: (1) the effects are long-term, and invisible when we focus on instant gratification or apparent cause-effect relationships and (2) they are not amenable to "scientific explanation" (the mechanisms behind them are too complex to be amenable to scientific theories). The point made is that design epistemology is exactly what is needed to make a difference (...). Some of the key insights (transformative memes that have been ignored) are federated within The Garden of Liberation prototype (related to the phenomenology behind religion) and the Convenience Paradox prototype (related to the nature and "pursuit of happiness" or wholeness or wellbeing). Hence this definition points to the way in which "great cultural revival" can realistically develop. This definition of culture is functional – hence it enables us to see what the culture may be like. In the Information Must Be Designed book manuscript this is used to justify or 'prove' the claim made in the title, which is the same as the basic message given by the Modernity ideogram. Hence we can 'prove' (we avoid this word) that design epistemology and polyscopy are necessary in the context of the (post-traditional, rapidly evolving, or ) modern culture. Hence this definition points to a general way of defining things that is a necessary prerequisite to systemic innovation. Our proposal was, of course, a variant of what's been told in Federation through Images. "Design is an alternative to tradition" is a succinct definition of these two keywords, according to which design is no longer "what the designers are doing" – but the approach to creative work that suits the emerging paradigm, roughly synonymous to systemic innovation! The design community liked our answer presented at European Academy of Design's conference in Bremen, and our presentation was selected to be repeated as an opening keynote on the 10th anniversary of the Dannish Designers organization. Who wins? 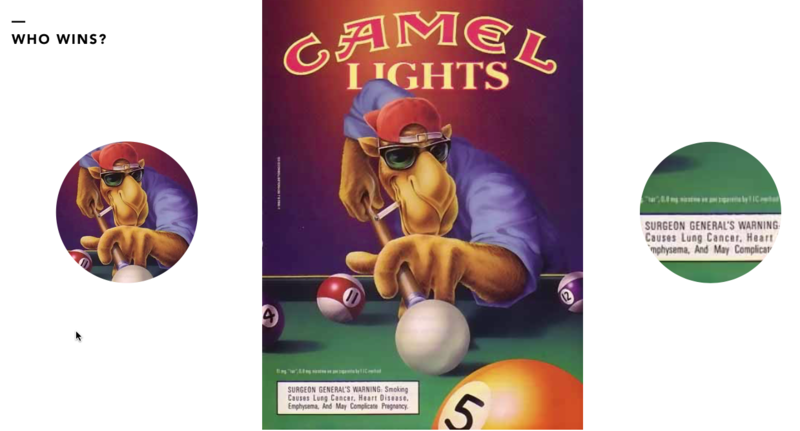 Cigarette advertising presents a situation where two ways of communicating meet one another in direct duel. While our "official culture" (science, legislation, ethics...) has been focused on verbal, black-and-white factual messages (or on what polyscopy calls "the square"), our culture has been dominated, and is in effect being created, by commercial interests through judicious use of the cool, the visual and the immediate ("the circle"). At the point where the International Visual Literacy Association was searching for a good definition for their subject of study, we contributed a generic way to make definitions so that they point to the core purpose that needs to be served – instead of trying to pinpoint what (in this concrete case) visual literacy "really is". Once again the community's elders found our proposal to their liking. While our political and ethical sensibilities have been tuned to dictators, bankers, political parties, terrorists and other traditional power holder – a whole new way of understanding the issues related to power can be reached by combining the insights of 21st century's giants. A consequence of power structure, this designed way of identifying our political enemies, is that the enemy is none else but – ourselves! The power structure is simply a devolutionary tendency of our systems, which turn us – without our awareness or intention – into our own enemies. The consequences are most interesting and complex – but the simple message is that the enemy is not out there; he is us! The theme here is in what way exactly our societal systems, and with them our society itself, have been evolving or devolving? We'll come back to this central theme in Federation through Conversations. Pogo, Walt Kelly's cartoon hero, gave an accessible explanation of the power structure definition. Our Abstract Helthcare as a Power Structure presented at the yearly meeting of European Association for History of Medicine and Health) where the power structure concept has been applied. While our legislation and our ethical sensibilities are focused on traditional addictions such as gambling and drugs, thousands of new ones may be created with the help of technology. Here again we have a specific example that demonstrates the power of the overall approach. The key to handling this no small issue is in perceiving addiction as a pattern (ideal way of looking, revealing a tendency that can be present in small or large degree in a broad variety of situations and things), when we no longer reify it as specific addictive things or activities such as opiates and gambling. This website is a proposal for a new paradigm in knowledge work, and in particular a new academic paradigm. One might say even more – that we are proposing a way to conscientiously yet freely design paradigms (or metaphorically lightbulbs). A century ago, a profound change was under way in the arts: An explosion of styles and techniques, and of creativity, resulted when the artists challenged the assumption that the purpose of art was to mirror reality, by emulating the techniques of Old Masters. A similar change is now possible—and, we submit, also called for—in knowledge work, and in particular in the sciences. The “modern science” that, we envision, may result from this transformation, will however not be an academic equivalent of l’art pour l’art-ism but on the contrary, a way to make the positive difference that knowledge and knowledge work can and need to make, in this age. The blog post Design Epistemology blog post and the research article that is introduced and linked there. Polyscopic Modeling is, as we have seen, a prototype methodology – which may be thought of as "the scientific method" adapted to contemporary needs of people and society. Role of Ideograms in Polyscopic Modeling abstract (presented at the International Visual Sociology Association's conference in Antwerp in 1999) where the methodology was publicly presented for the first time, after having been developed. Knowledge federation – as introduced here, is a methodology for knowledge federation / systemic innovation. Knowledge Federation is introduced as a missing piece that can enable IT innovation to expand to socio-technical system design. Blog post Knowledge Federation – An Enabler of Systemic Innovation; follow the link at the bottom to the contributed article. In keeping with our mission (to bootstrapping systemic change in knowledge work), we reached out to communities and institutions offering prototypes, dialogs and collaboration. The response has been so uniformly discouraging that we ended up coining a new keyword and calling those attempts Quixote stunts. When what's been told about the benefits of systemic innovation and knowledge federation is considered, this imperviousness to the imperative of change may seem simply unbelievable. In Federation through Conversations we shall show, however, that it is a natural consequence of the way in which we've been evolving culturally and socially. 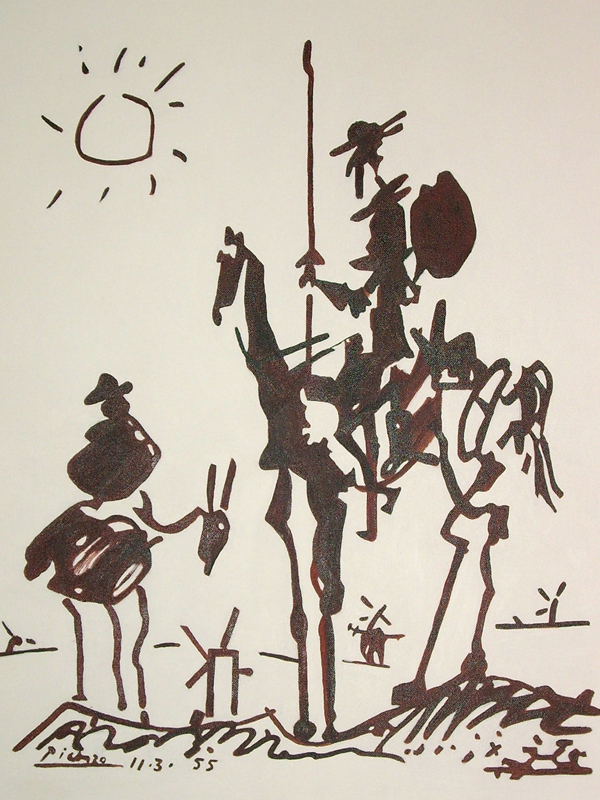 We offer the Quixote stunt examples below as further evidence that what we are facing is an evolutionary challenge – which presents difficulties even to the best of us. And as a prelude to Federation through Conversations, where this challenge will be in focus. We call our attempts to bootstrap collaboration toward systemic change Quixote stunts.